As President of the International Association of Professional Wedding Officiants (IAPWO), I frequently have the pleasure of meeting and speaking with professional officiants and celebrants all over the world and one of the first questions I ask is, "How did you get started performing weddings?" The answers I receive are as fascinating as they are diverse - some are seminary-trained clergy, others are retired judges or mayors, and many (like myself) got started by being asked to perform a wedding for a friend or family member. Looking back on my very first wedding ceremony more than 15 years ago, I had no idea at the time that being an officiant was a potential career path - I also had no idea that my friend's wedding would be the first of more than 1,000 ceremonies I'd perform on a long and rewarding entrepreneurial journey. What I did know, however, was that I absolutely loved preparing and delivering that ceremony for my friend, and that if I was asked to do it again then I would happily accept. 1) Do your research. If you're considering starting any business, it's always best to understand what you're getting yourself into before taking the plunge. Important things to consider are the strength of your local wedding market (are there a lot of weddings happening near you? ), the local culture (are most people in your area still being married in a church? ), and the competitive landscape (are there already a lot of professional officiants operating in your area?). Understanding these factors can help you determine whether starting a wedding officiant business in your area will be a viable option and has the potential to be a sustainable career or an occasional "side hustle." 2) Price your services appropriately. One of the biggest mistakes I made when I first started out as an officiant was under-charging for my services. I was just happy to be doing weddings, and I had a full-time career and didn't really need the money. I didn't realize it at the time, but the amount I was charging for the level of service I was providing was a LOT less than it should have been. It wasn't a problem until I finished my first year in business and realized that if I averaged out all the time I spent on weddings over that year, I made less than minimum wage. When I decided to course-correct and raise my prices to something more appropriate for the following year, new couples who were referred to me by couples I had married the year before expected to be charged the same rate that their friends had been charged. I lost a lot of potential business and had a lot of awkward conversations when I raised my prices that year, and all of that could have been avoided if I had done more research and found out what other professional officiants in my area were offering and what they were charging for their services. 3) Consider working with an agency. If you love performing weddings but don't necessarily have the time, patience, or money to start your own officiant business, consider working with an agency if one exists in your area. My company, Ceremony Officiants, handles the "business" side of the officiant business for professional officiants in several different markets, and the officiants who work with us get to concentrate on the thing they love most - preparing and performing ceremonies. Yes, by working with an agency you'll be paid less money per wedding than you would doing ceremonies on your own, but you'll also save a lot of time, effort, and expense by having an agency take care of acquiring and managing customers for you. This can especially be a great option for you if your schedule doesn't permit you to keep open availability every single weekend - carrying the costs of marketing and operating an officiant business can be impossible if you are only performing a few ceremonies per month. 4) Network with other officiants. In business, there's no prize for reinventing the wheel - others have been on this journey for a long, long time and have a lot of experience you could benefit from. Find the other officiants in your area and take them out for coffee or cocktails, and ask them about their experience. Sure, every once in a while someone might scoff at your invitation, but most officiants are kind people and you already have something important in common with them - you love doing weddings! Also, don't restrict your networking to officiants in your area - there's a world of officiants online as well. When we surveyed IAPWO members last year about what they thought the most valuable benefits we provide were, the winner was our IAPWO Members-Only Facebook Group where professional officiants from all over the world share ideas, advice, ceremony scripts, and mutual support for our shared profession. Performing ceremonies every weekend is so rewarding, and I wish you nothing but success in your officiant career, whether it's one wedding or 1,000. Keep an eye out for more upcoming articles, advice, and interviews from IAPWO members here on American Weddings! Rev. 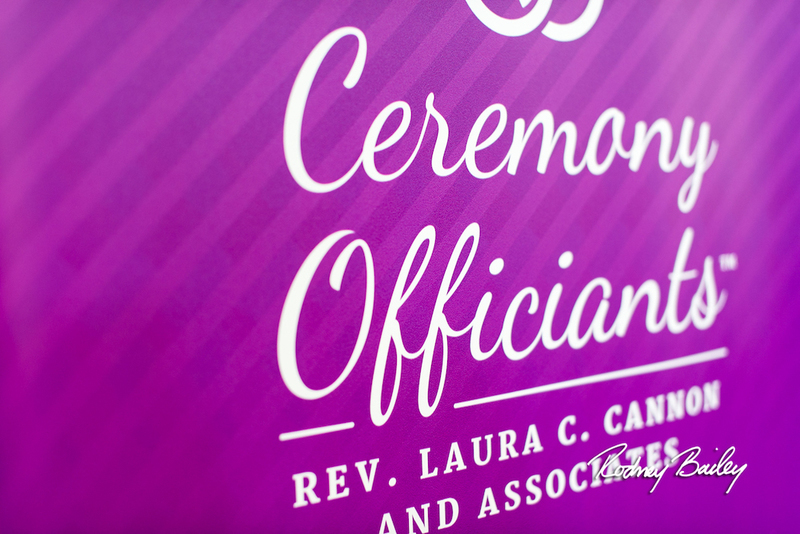 Laura C. Cannon is the owner of Ceremony Officiants, one of the largest officiant agencies in the United States, and is the President of the International Association of Professional Wedding Officiants (IAPWO). She is senior minister at SOUL Community Church outside Washington, DC, and is a proud member of the National Speaker Association which has her travelling the world speaking on topics of entrepreneurship, meditation, and spirituality. 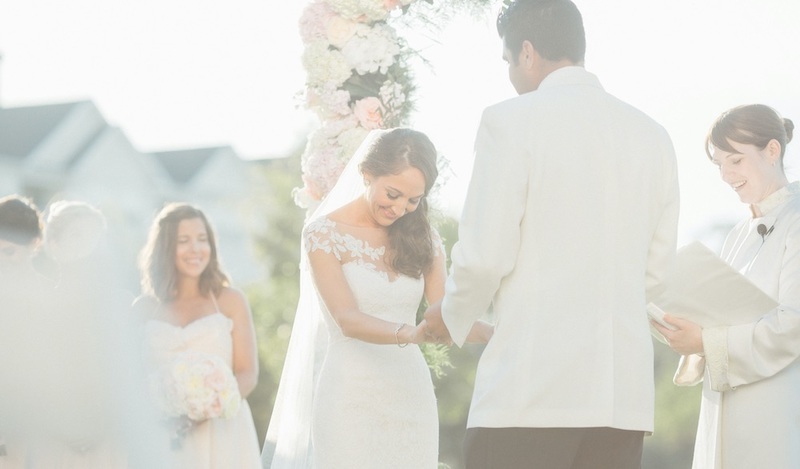 American Marriage Ministries (AMM) and the International Association of Professional Wedding Officiants (IAPWO) have partnered to educate wedding officiants on how to perform wedding ceremonies, and to raise awareness about the important role that professional wedding officiants play in the special events industry. This article is part of a series written by professional officiants from IAPWO offering advice to first-time officiants, and officiants that are looking to work professionally. This article was written by IAPWO President Rev. Laura C. Cannon. Public Speaking: Deliver Your Wedding Ceremony with Confidence in Just 3 Minutes!